Express Checkout is the optimal solution for Enterprise Merchants to leverage PayPal, whose APIs are broad and intricate. 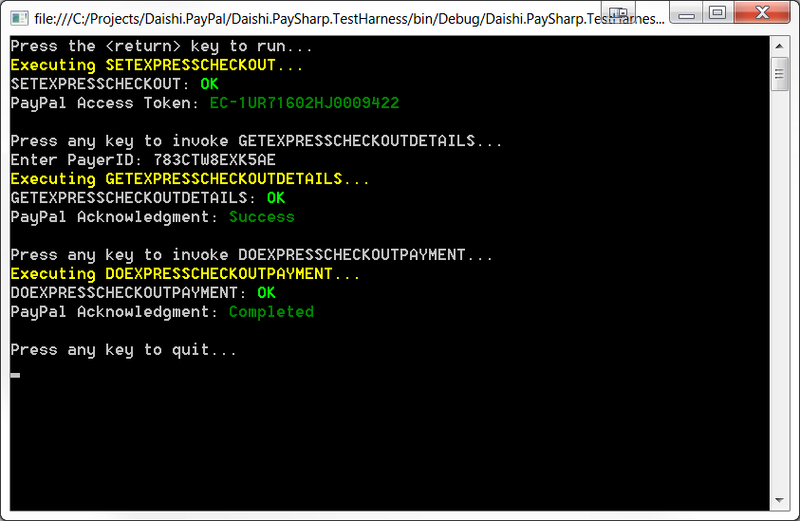 This post aims to simplify the design and implementation of Express Checkout using a custom .NET library called PaySharp.NET. ExpressCheckoutURI should refer to the PayPal Sandbox for all non-production environments. Each PayPal account is also associated with a Secure Merchant ID, which can be included in the Subjectfield (see code samples below), if for example, your application supports multiple currencies. This is an optional field, and is not prerequisite to fulfilling an Express Checkout transaction. 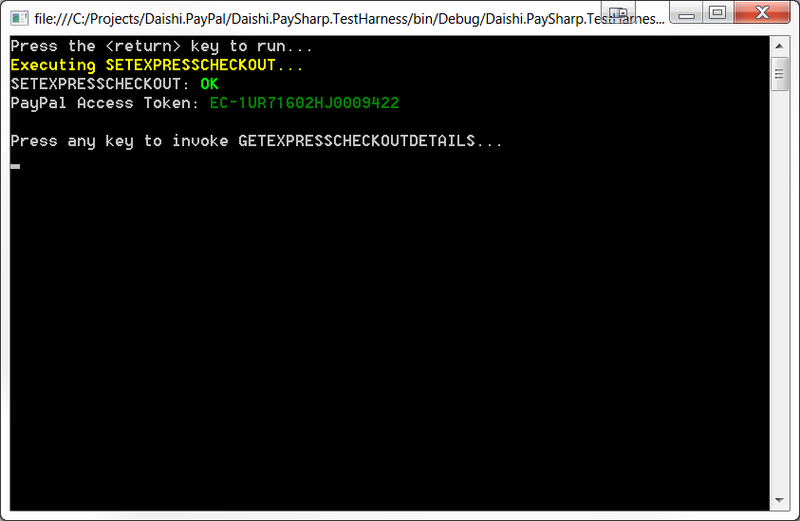 Establishes a PayPal session based on Merchant credentials, and returns an Access Token pertaining to that session. Returns a definitive collection of metadata that describes the PayPal user (name, address, etc.). Collects the payment by transferring the transaction amount from the User’s account to the Merchant account. The API is fully documented; a *.chm Help-file is included with every build. If you prefer to view the API documentation in a web-based format, such as HTML, you can run the Sandcastle tool against any branch in order to generate the requisite files. Note: You will likely need to unblock the Help-file as part of Windows security measures. Does this library support C# Async? Yes, there are asynchronous equivalents of each synchronous method exposed by the SDK. Generally, PayPal issues intuitive error messages. Less intuitive error messages are usually returned as a result of uninitialized payload properties. In the case of SetExpressCheckout, scan through the properties in SetExpressCheckoutPayload and ensure that each property is set to an appropriate value. Can I Fork this project? By all means. I’m happy to contribute to any extensions. An set of extensible components that make it easier for developers to create and augment objects proprietary to downstream systems, such as Fraud Prevention, Booking & Reservation, and Back-office Accounting systems. This entry was posted in ASP.NET, C#, ECommerce, PayPal and tagged .net, C#, csharp, ecommerce, enterprise merchant, express checkout, merchant, paypal on September 25, 2015 by Paul Mooney.